Most of our patients reach out to their primary care physicians because they are feeling tired and worn down. They have difficulties getting a quality night of sleep and recognize that it's impacting their daily lives. Your physician should provide you with a referral for a sleep study. 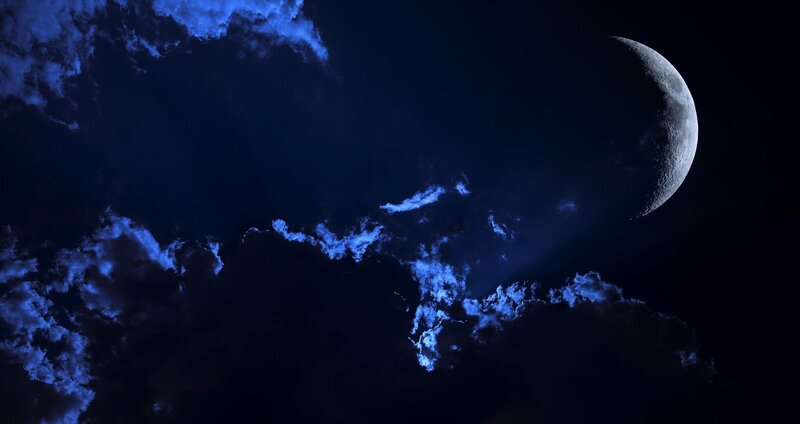 Meeting with a sleep medicine provider should give you more clarity on the next steps. Whether your sleep specialist recommends you take an in-lab sleep study or a home sleep test, you’re headed towards a better nights sleep. Obstructive sleep apnea is not typically diagnosed in office visits and requires biofeedback data collected from a sleep study. After you are formally diagnosed with OSA, you will see there many different positive pressure airway devices, styles of masks, humidifiers, and cleaning products. The choices can be overwhelming and finding the right equipment for you is essential for your comfort and success in your sleep therapy. 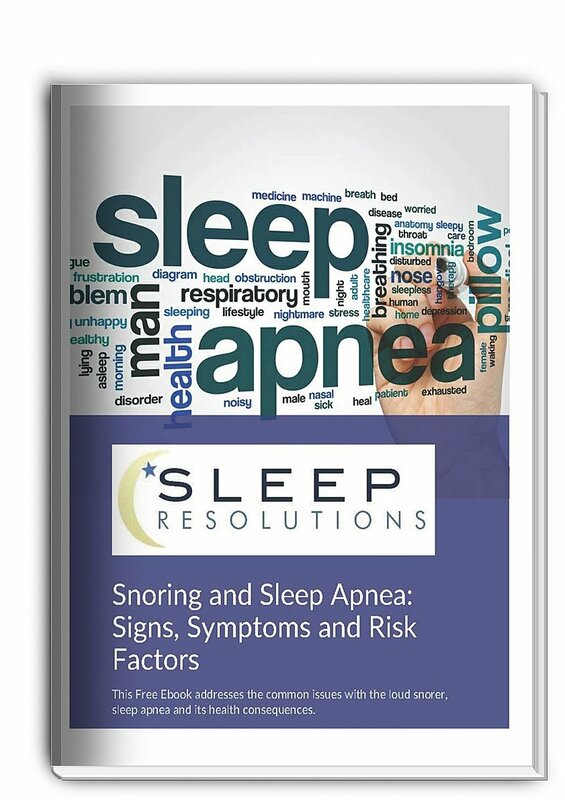 Sleep Resolutions reviews all the machines, masks, and equipment that we recommend to our patients. Our goal is to provide all the details we can so you are informed of your options. If you know that you are a mouth breather, a nasal mask might not be the ideal mask for you. However, if you dislike having bulky or heavier masks, a nasal mask or pillow could be the way to go for you. Here is our review of Fisher and Paykel’s Eson 2 Nasal Mask. 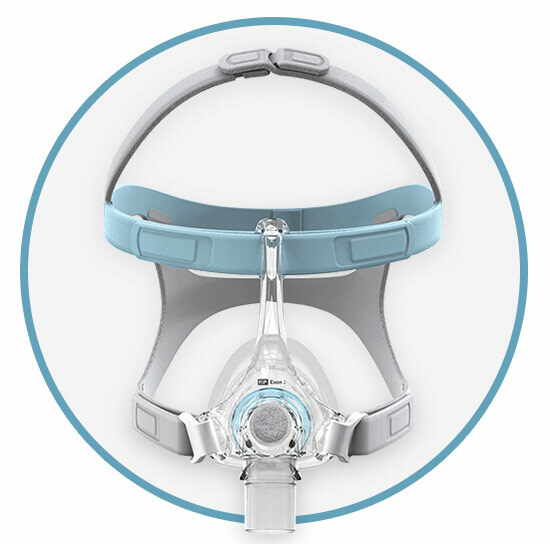 Every mask has its own unique technical specifications that allow it to provide to the needs of the patients that fall within the ranges that this mask covers. Color coordinated headgear straps. It might seem like a simple design change but it does allow patients to follow fitting and adjustment directions without confusion between the straps. Removable, washable, noise diffuser that muffles noise and reduces air drafts. Silicon seal with Fisher and Paykel’s RollFit technology that auto adjusts to the bridge of the nose. Low profile frame. The design of the support frame ensures that users’ line of sight isn’t impaired during wear. If you read in bed, watch tv as you fall asleep, or need to get up during the night it doesn’t require you to remove the mask. Every mask has common issues that arise throughout use, normal wear and tear, and sometimes simple issues like poor assembly. It is handy to have troubleshooting guild to help you correct issues before they impact your sleep therapy. After cleaning a cushion or replacement, cushions might not inflate properly. An improper seal causes air leaks around the cushion. Check to make sure that the cushion was assembled correctly and that it is clear with no obstructions that might impact its ability to seal against the frame. Check for creases or folding in the cushion. Use one or two fingers to work out the crease to inflate the cushion. Improper seals can be more challenging to solve. We recommend to disassemble your mask and reassemble following the instructions provided with your mask. If the seal continues to leak, check the fitting. Refit your Eson 2, again according to the instructions, to ensure that the mask isn’t too tight or too loose. Reading all the pros and cons online can be overwhelming. Many patients want direct and honest feedback about the mask they are eyeing. 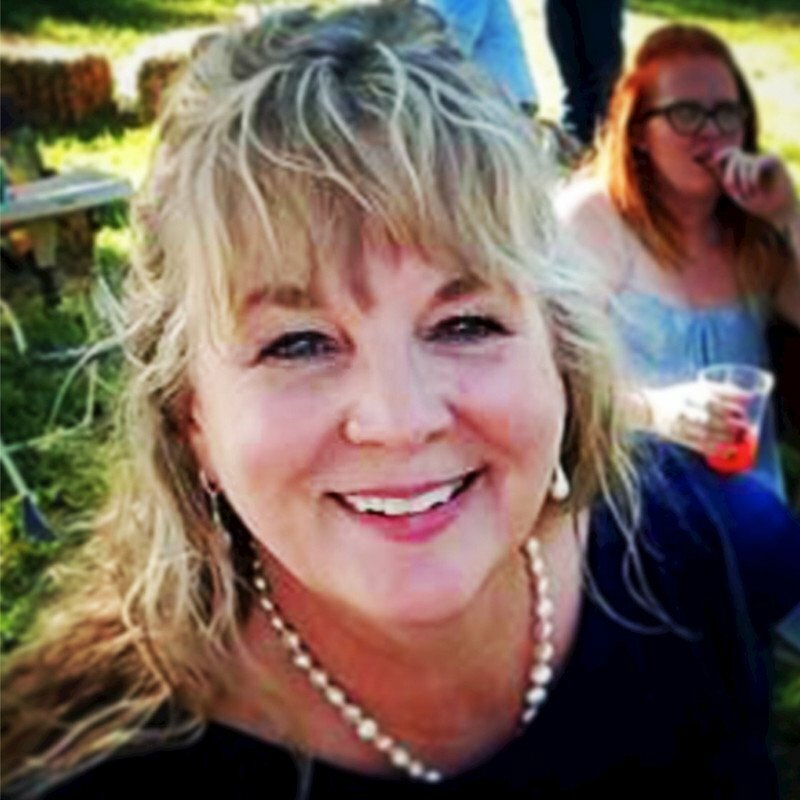 The staff here at Sleep Resolutions will always provide their own personal opinions to clients while considering patients’ therapy needs, unique preferences, and comfort. Fisher and Paykel’s Eson 2 is a second generation nasal mask that is based on the Eson. The Eson 2 has been enhanced and improved based on consumer feedback technological advancements. The nasal cushions remain very similar between the two generations however the cushions are not interchangeable. Fisher and Paykel changed the strapping system, added a diffuser, and changed the sizing of the support frame and the width of the straps. Overall, each design change for the Eson 2 improves the users’ experience. A challenge for many patients is shopping online. It can be difficult to know the right size for you based on the online descriptions. Fisher and Paykel provide a printable sizing guild that you can use at home to ensure you order the right size nasal cushion for you. Adjustment is key for this mask. If you cannot find a good fit by adjusting the straps you will have air leaks around the nose and more likely air leaks across the bridge of the nose. The upgrades to this mask make adjustments fairly straightforward. You should only have to adjust the top head strap when you initially fit it to your head then use a pullover method to put the mask on and off. One area to note is that it is recommended to clean this mask daily. To clean this mask, you will need to soak the mask for ten minutes. This process is more time intensive than other masks available but it will ensure that you get the longest lifespan. The diffuser is meant to be changed more often. The Eson 2 can be used without the diffuser but it will be louder. 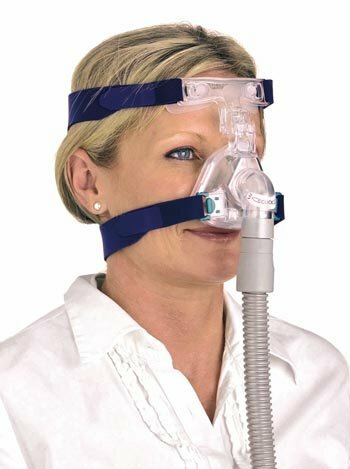 Our favorite feature of this nasal mask is the durable velcro. Some patients loosen the lower straps in order to remove the mask. Previously the velcro would start to wear on the straps. However, on the Eson 2, the straps appear to be unaltered even after longterm use. This might be the quietest mask yet. At higher pressures it makes a more audible noise, however, the majority of patients do not require such high pressures. Overall, this is a solid mask. Sleep Resolutions is here to help you with your sleep medicine journey. If you have more questions about Fisher and Paykel’s Eson 2 nasal mask or any other mask, click on the link below to receive a callback from one of our durable medical professionals.